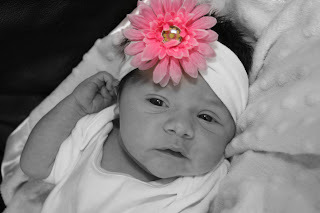 These are pictures that I took of my niece and her family. Chuck is leaving for his 3rd deployment with the National Guard. He will be going to Iraq this time. natural beauty that southern Utah has to offer. I love Chuck so much and I am going to miss him like crazy. We will be praying for the "Triple Deuce" and the 213th. 4 year old Odin and daddy. Yes, Chuck IS this tough!!!! Baby Liam was born in the middle of February. Chuck will miss his 1st birthday. He might be a strong man, but he's still Cort's daddy. My beautiful niece. She will sacrifice so much this deployment. Worth a thousand words. This is how this sweet family felt all week, trying to get Odin to understand that daddy has to go to "work". So hard. I love you and I'll see you next year!!! Be safe and we'll take care of Brittney and the boys for you!!!! On August 21st, I got to go up for my cousin, Danielle's wedding!!! She married the coolest guy, Daniel. Yes, their names are Danielle and Daniel, also known as D & D because most of us can't spit out their names together!!!! I felt so honored when they asked me to be the wedding photographer!!!! Here is just some of the fun shots I got while with these 2 love birds on their special day!!!! Danielle, the picture of perfection!!! You know I LOVE silhouette shots of brides!!!! the nicest guys I know and an absolute PERFECT match for Danielle!!!! What a beautiful bride!!!! She is so happy!!!! This picture is extra special. This is Danielle's Grandpa Long. He has been suffering from some health problems for a while and about 10 days after this picture was taken, he passed away. I am glad that my aunt was able to get a copy of this picture to him right after the wedding and see the joy it brought him. This picture is PRICELESS!!! Can you tell why? I think this is what REAL princesses look like!!!! Here's my Uncle Bear saying, "no more money, honey!!!!" I think it would even make me blush!!!! Think he can get away????? I don't think he really wanted to!!!!! I think he likes her a little bit!!!! I just have to say THANK YOU to Daniel and Danielle for trusting me to do your wedding. I love you guys to pieces!!!! I know it's been a while since I've posted any pictures, I've been a little busy ;) I did this photo shoot with my niece and her sweet family a few months ago. I love how the colors turned these photos almost into works of art!!!! I also love all the kisses that were shared during this shoot!!!!! ENJOY!!!!! Brittney and Cort sharing some smooches!!!! Odin can't even escape the kisses!!! And one to seal the deal!!!! I had a blast!!! Thank you TAYLOR FAMILY for letting me do these!!!! With Christmas time approaching, I've been busy doing family photo shoots. I will be posting them on here as I get done with them. These are from a shoot I did with my neighbors, the Rindlisbacher family. It was so fun and hard to narrow down which ones I liked the best!!! Reagan was the PERFECT model. She had this "smile and look cute" thing down pat!!! Look how yummy Koufax is with that little grin!!! I LOVE LOVE LOVE this photo... how cute is she? I had such a fun time taking their photos. I'm glad they asked me to and I look forward to doing it again in the future!!! THANKS GUYS!!! I was going through some old pictures and found these from when my friend, Angie, had her baby. I forgot how absolutely priceless these are. I remember taking these photos and how I was overtaken by how much our Heavenly Father must love us to send His wonderful spirits to us to raise. Mya was just a few days old, she even had her umbilical clamp still on. A precious one we couldn't wait to meet! The look in Angie's eyes is the love only a mother can have for her newborn child. This is one of my favorite pictures. After playing photographer with Mya, I got to take some shots of Wyatt!!! This picture says it all!!! He keeps us all going!!! Man, I love this kid!!! I started this blog to share some of my favorite photos and experiences!!! I've been taking photos on a regular basis for a few years, now. I'm not a professional by any means, but I sure love being behind the lens of a camera!!! Sponsored by the real estate marketing web page.